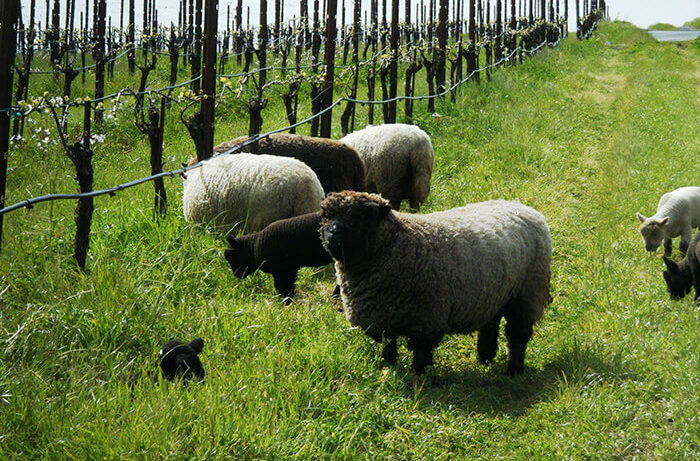 Babydoll Southdown Sheep in California's Maboroshi Vineyard. 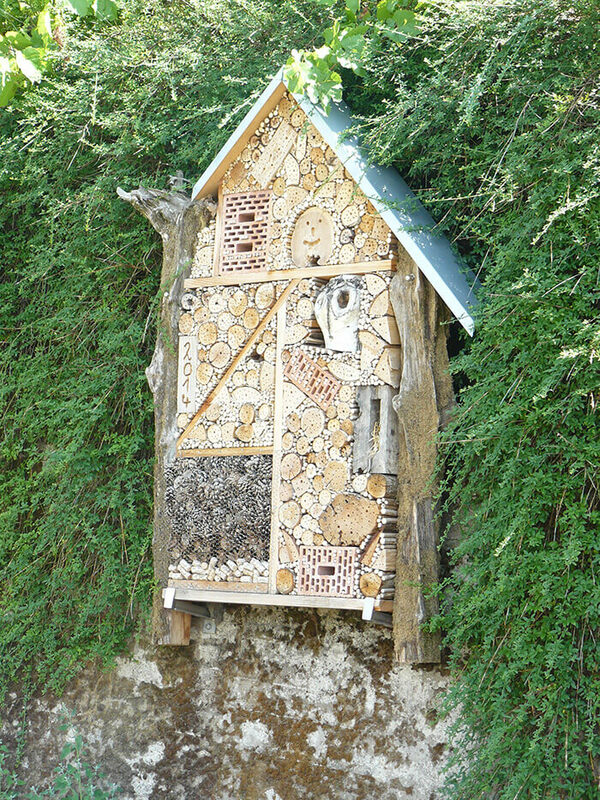 Insect “hotel” in the Mosel. 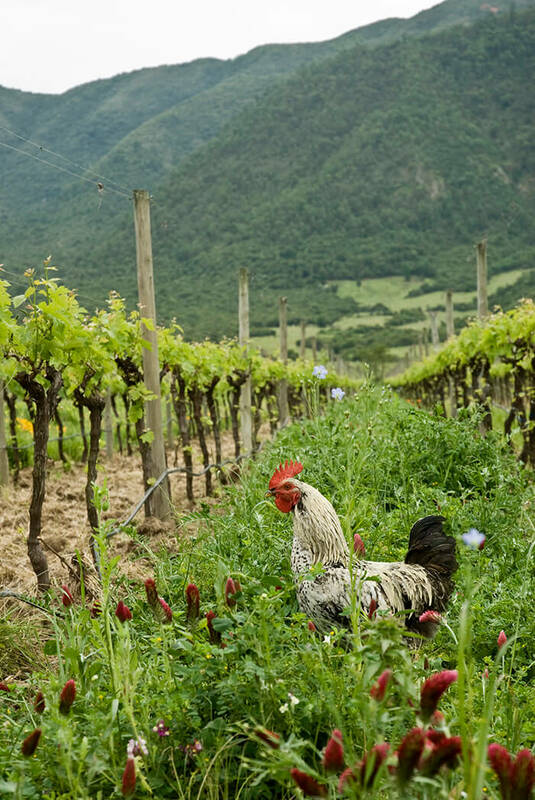 Rooster in Emilia Vineyards, Chile.